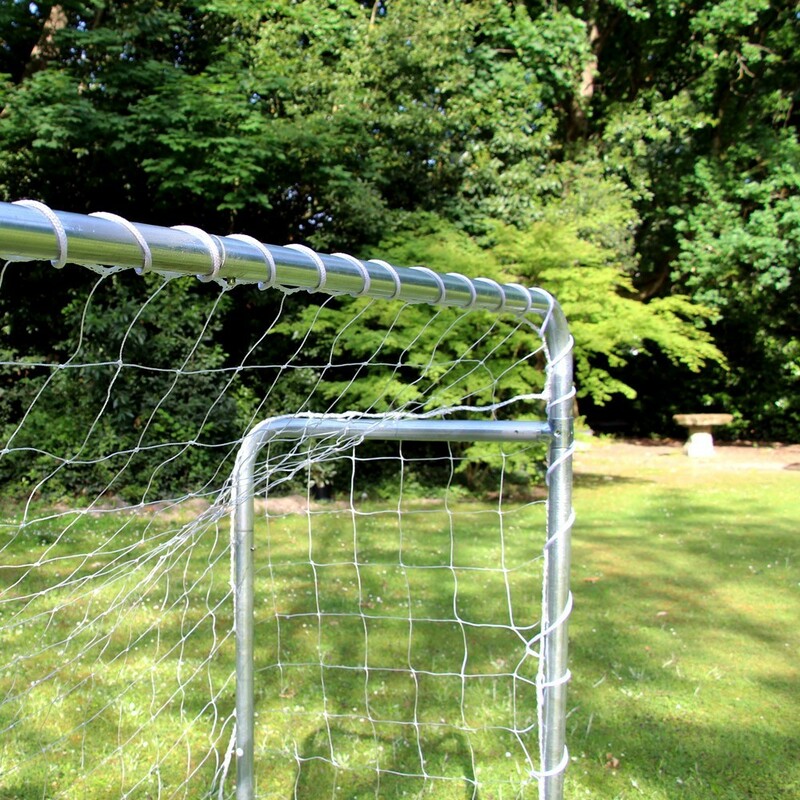 This football goal will allow big and small to play football in their own garden. Made with a galvanized steel structure, it is very solid and resists to humidity and cold weather. 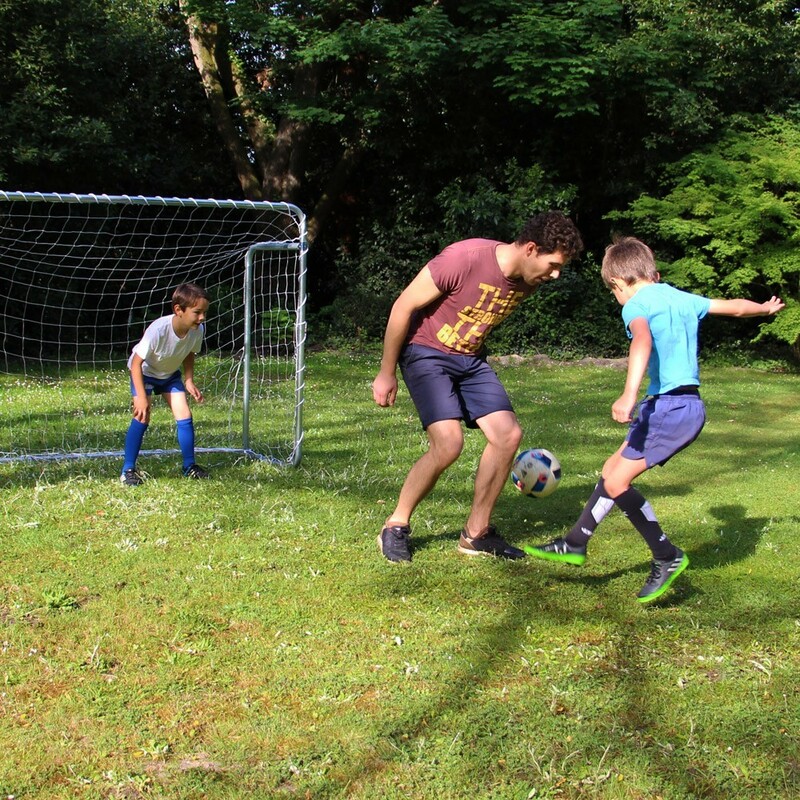 Transform your garden into football ground with this 1.5 x 2 m football goal that will allow football fans, adults and children alike, to practice their favourite sport at home. 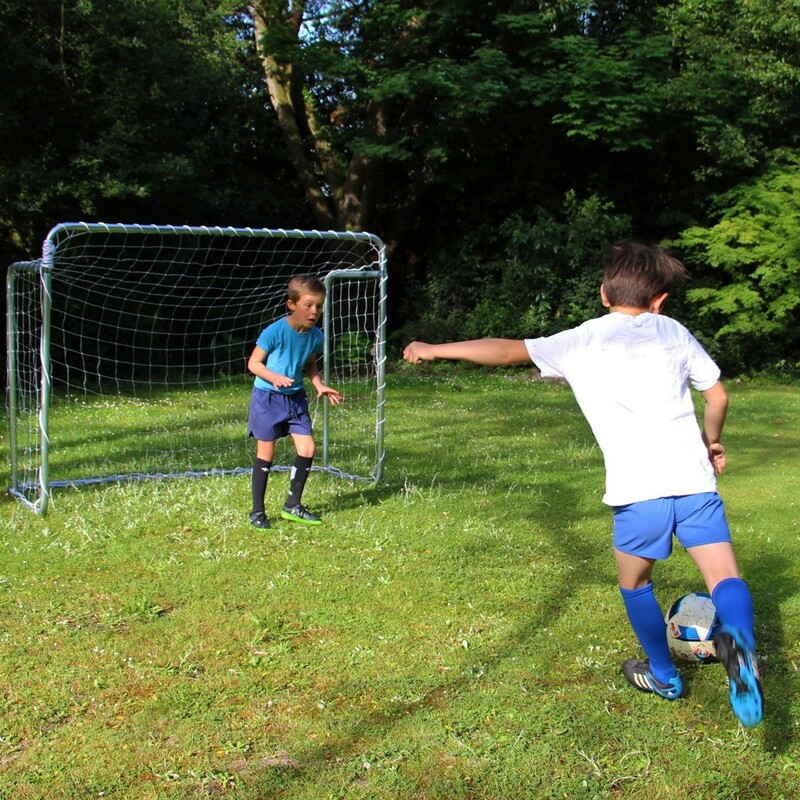 - This goal is designed to stay outside all year round, even in the winter. It is made with 1.5 mm thick and 38 mm in diameter galvanized steel tubes for maximum resistance to corrosion. - The various parts of the structure and joined together using T-junction components, avoiding the use of welds or drilling holes that could weaken the metal work and cause corrosion. 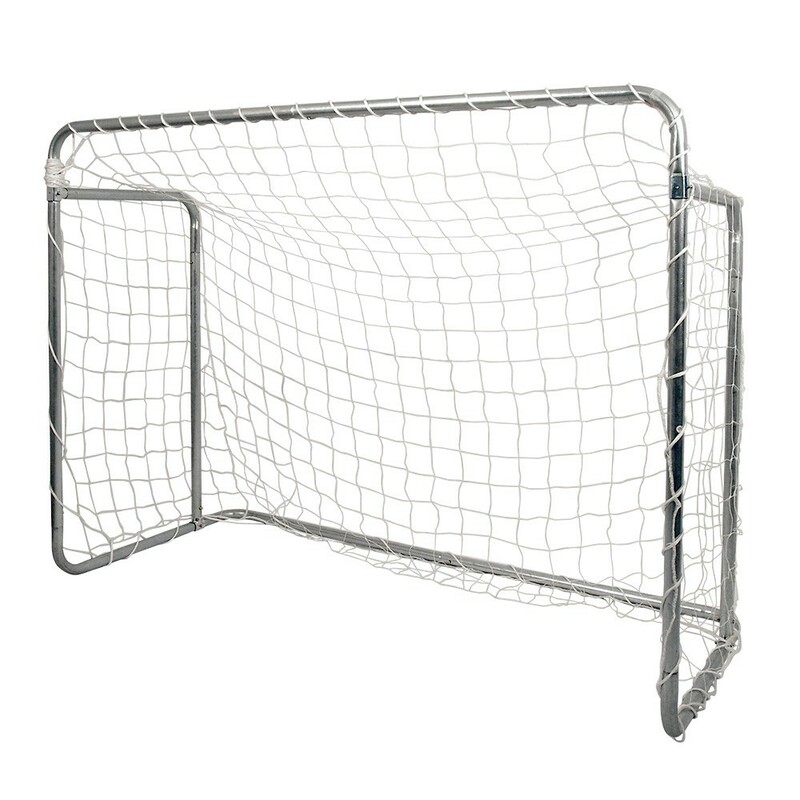 - It is 2 wide and 1.5 m high, with a depth of 90 cm: allowing goalies to practice their technique and strikers to work on their accuracy. 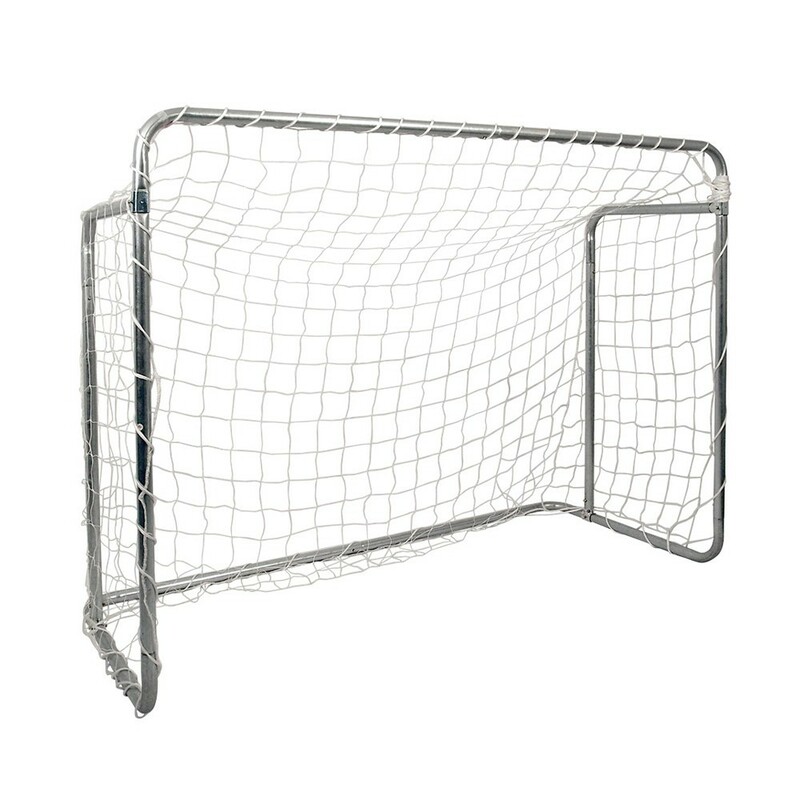 - A polyester net, made from knotted 10 cm wide netting, is delivered with the structure. - Metallic hooks are also provided with goal, allowing you to fix it to the ground for extra stability. 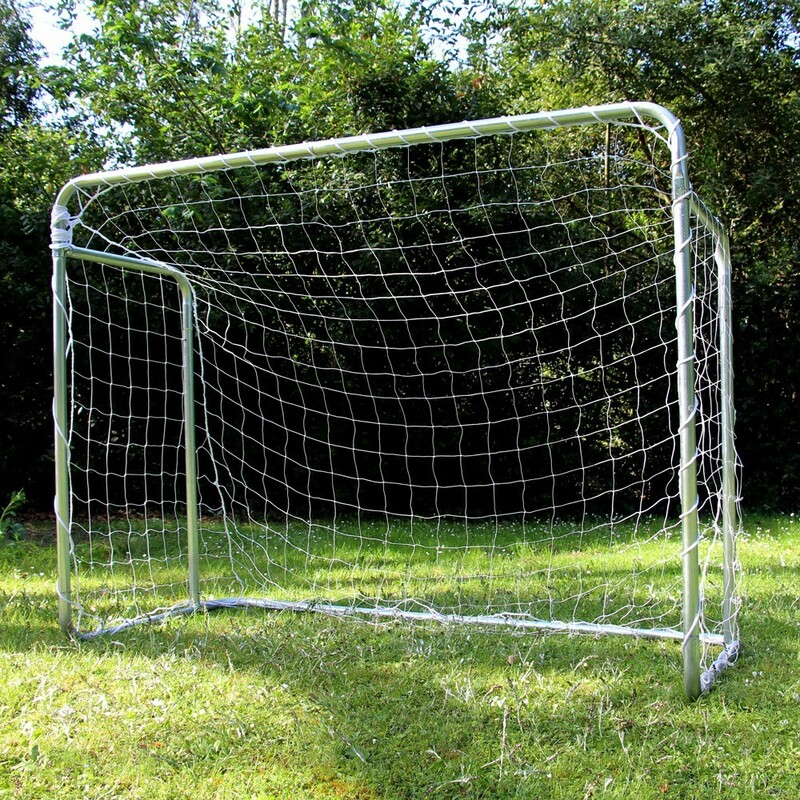 This football goal's frame is entirely made of galvanized steel to protect it from corrosion and an excellent durability, even after prolonged outdoor use. 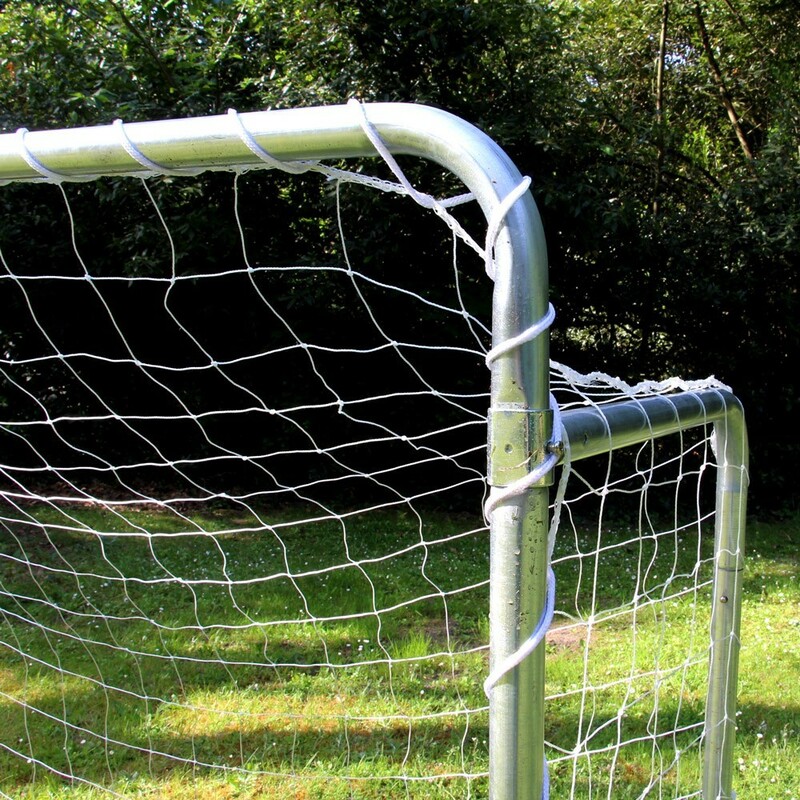 The different parts of this goal are assembled using T-junctions to avoid welding or pre-piercing with a drill, which would expose the goal to corrosion.